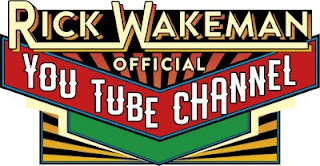 Legendary keyboardist Rick Wakeman is launching his official YouTube channel in June 2018. To celebrate the launch of Rick's official YouTube channel in style, subscribers are asked to vote for the top track they want to see from the film “Live Portraits” (track listing below). Voting can be made on PledgeMusic. Once the votes have been counted, the ten most voted tracks will be posted exclusively on Rick's YouTube Channel for 48 hours. Fans should subscribe to Rick's official YouTube Channel to be notified when this event will take place. In other news, following the hugely successful “Piano Portraits” tour last year, in support of the album of the same name, Rick Wakeman will return in Autumn 2018 with a new show based on the follow up release, entitled Piano Odyssey. The fourteen-date tour will feature even more classic tracks given Rick's unique piano treatment, and will travel to towns and cities not previously visited in 2017.